You heat your baby’s bottle with the steam wand from your espresso machine. You know how much a hill of beans costs, where they were grown, and how long it would take to roast them. You know more about the pedigree of your beans than your dog. You only have 17 payments left on the new espresso machine. Breakfast in bed is merely a perfect cup of coffee. Your coffeemaker has more buttons than your TV remote. Your ringtone sounds like a coffee grinder. You are served by a “bikini barista” and never notice. Your friends start using words like nutty, fruity, and well-rounded in everyday conversation. A 103° fever is not an emergency, but running out of coffee is! Your head starts to throb when the blood in your caffeine stream gets too high. You own more than 2 French presses and at least one book on latte art. You’ve ever had coffee bean chaff in your eye. Your cats are named cream and sugar. Your green coffee stash takes up more room in the pantry than food. You know the difference between a cafe macchiato and a latte macchiato. You’ve ever slurped a cappuccino. You have more than five coffee making appliances and two grinders. You have a dedicated coffee area in your kitchen or a dedicated roasting area in your garage. You think 6 degrees of separation is the difference between perfection and barely drinkable pond water. You look to see the grinder and espresso machine’s make and model before ordering your cappuccino. You send your barista a Christmas card. You say goodnight to your espresso machine. You think that having a spouse that prefers tea is “grounds” for divorce. You consider stopping at a chain coffeehouse as a last resort. Bellying up to the bar involves cream and sugar. You, as a latte artist, consider opening a gallery. You order a latte just to critique the artwork in the foam. You consider traveling to remote, dangerous locations to visit coffee plantations ABSOLUTELY worth it! Your first aid kit has no thermometer, but your kitchen drawer has several (even with the little clips to hold them in the steaming pitcher). You think tea people are worse than cat people. Your bomb shelter/end-of-the-world provisions include at least 50 lbs. of the various precious beans that make life worth living. 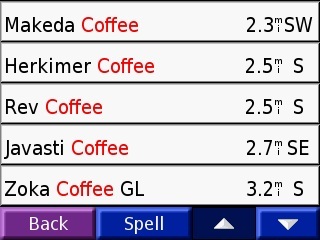 You have at least one computer program or spreadsheet dedicated to tracking coffee purchases. Your coffeemaker costs more than your new TV. Your clothes come from Wal-Mart but your espresso machine comes from Italy. You find yourself nodding in agreement as you read these. You have more than 3 coffee shops saved as waypoints in your GPS.